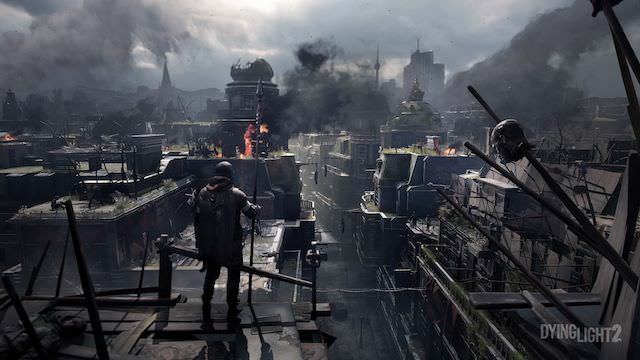 During E3 2018, 411mania got the chance to sit down and check out Techland’s extended gameplay preview for the recently announced Dying Light 2. Techland continues its hit zombie action-survival-horror game mashup with the next installment of the series. During the expo, Techland presented a hands-off, behind-closed-door preview to get a more comprehensive look at the gameplay. The first Dying Light was set in the fictional city of Harran basically during the start of a zombie apocalypse. Dying Light 2 is set about 15 years later, and that apocalypse has fully enveloped the Earth. So, players are stuck in a new open-world sandbox city in the Modern Dark Ages. This is a world that has basically undergone a complete collapse due to the zombie infection. The gameplay demo showcased that the developers brought back the narrative sandbox and nonlinear gameplay style of the original. 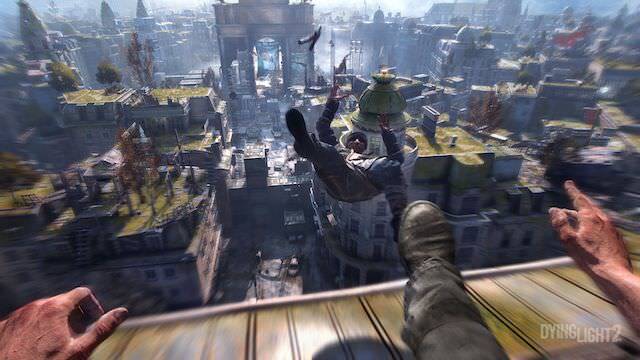 A big focus for Dying Light 2 was upping the use of parkour skills throughout the gameplay and achieve what they are calling “true parkour.” That includes mixing parkour into the combat. The demo build was taken from an early part of the game. 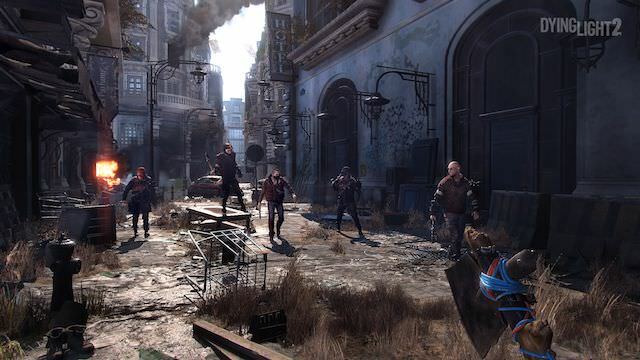 The game’s protagonist, an unidentified male, is investigating a water tower in the middle of the city that could potentially provide a clean water source. Of course, the trek to get to the water tower is incredibly hazardous. There are infected zombies, attracted to light and noise. It appears, like the original, you can take a number of paths to get to your goal. This might include having to brave a dilapidated store building that’s filled with zombies all creepily standing together by precariously climbing around them and jumping over chandeliers and light fixtures to get to the roof. The noise or extra light could attract their attention, so caution is needed. Eventually, the protagonist gets to the water tower and makes a precarious climb to the top. The water tower has been taken over by two bandits. Players will have multiple options here. They can decide to take out the bandits or possibly make a deal with them. Additionally, the game will feature multiple factions in this post-apocalyptic wasteland. One faction is the Peacekeeper group. The Peacekeeper observes righteous laws, such as no stealing or killing, but their rules are absolute. If players liberate the water tower and turn it over to the Peacekeepers, the people will be given a free and clean water source. And players will be able to get the water’s healing restoration. However, the Peacekeeper’s reach will increase, and people will be forced to submit to their iron rule. Suspects are executed without trial. If players make a deal with the bandits controlling the water, tower, they can profit from people buying the water for them. So, that’s an example of how the game can take branching paths. Players will be forced to make morally grey decisions throughout the game, and that will then impact the worl at many levels. The combat has also been tweaked. Players will be able to use similarly customized weapons from the first game. However, they can also use the environment to attack and eliminate enemies. One combat sequence showed the player jumping onto some piping from the ceiling and then using that to dropkick a baddie out of the top of the water tower. Dying Light 2 is set for release later on for Xbox One, Windows PC and PlayStation 4. The game will be powered by the C-Engine, which is a new generation of in-house technology from Techland that’s focused on open-world action-adventure and action-RPG games.